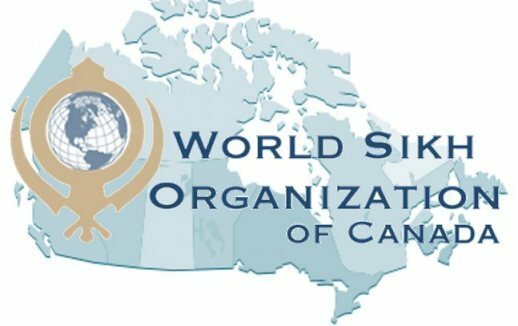 OTTAWA, CANADA – The World Sikh Organization of Canada stated that it is gravely concerned by the increasing number of mob lynching attacks perpetrated by radical Hindutva terror groups and called on the Indian government to do more to protect minorities. Attacks on religious minorities have been escalating since 2014. In the past two months, over 20 murders by radical Hindu ‘cow protector’ lynch mobs of mainly Muslim victims have been reported across India. Radical Hindutva groups have also forced Christian tribal groups and Dalits to ‘re-convert’ to Hinduism and have attacked journalists, lawyers, and activists. In an incident reported in Rajasthan last week, a Muslim man, lynched by a group of radical Hindu ?cow protectors?, died after Indian police delayed taking him to the hospital, instead first finishing their tea and then attending to the health of the cow owned by the injured man. Targeted attacks on minorities have steadily increased since Narendra Modi?s Hindu nationalist Bharatiya Janata Party’s (BJP) ascent to power in 2014. Many of the groups responsible for these attacks enjoy the protection and support of local authorities and the patronage of the BJP. Raja Singh, a BJP member of the Telangana Legislative Assembly from Hyderabad, released a video in which he justified the killing by accusing the victim of cow smuggling. He also termed cow protectionism a ‘war’ and urged the prime minister to pay special attention to protection of cows. Earlier this month, Indian Union Minister Jayant Sinha honoured eight men convicted of lynching Muslim cattle trader Almuddin Ansari for allegedly carrying beef in his car. The Jharkhand High Court had granted the men bail in the case after their conviction by a lower court. Mob attacks on minorities are often carried out by groups claiming to support the BJP. In its World Report 2018, the Human Rights Watch emphasizes that, ?the government failed to promptly or credibly investigate the attacks, while many senior BJP leaders publicly promoted Hindu supremacy and ultra-nationalism, which encouraged further violence?. Enactment of laws by the BJP, including prohibiting cow slaughter practices, provides support to pro-Hindutva or right wing groups to unleash violence on minority groups. The Indian government has been slow to condemn these attacks. Instead of taking legal action against attackers, the police have often filed complaints against the victims under the laws banning cow slaughter. WSO President Mukhbir Singh said, ?we are deeply concerned by the recent lynching attacks in India. The victims have mostly been members of minority communities. We urge the Indian government to unequivocally condemn these attacks and swiftly bring those responsible to justice. The rising number of attacks by radical Hindutva groups imperils the rule of law and endangers vulnerable minorities. India must show a commitment to the protection of human rights of all citizens, including minority communities. As Sikhs, we have both experienced the brutality of state sponsored mob violence in India and the lack of justice and accountability that followed. We cannot let history continue to repeat itself when it comes to victimizing minorities in India. ?